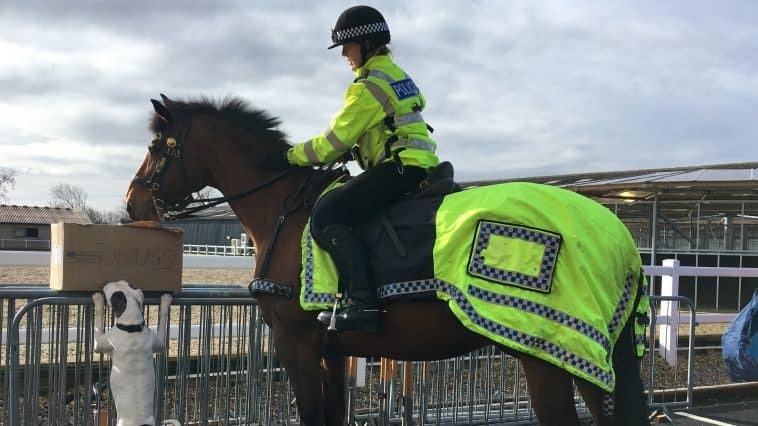 Avon and Somerset Police today becomes the first force in the country to launch a unique collaboration between its Mounted Section and Dogs Unit, to crack down on drug crime. Thanks to a new discovery that horses’ sense of smell is more acute than before realised, the Sniffing Canine Equine Nose Team (S.C.E.N.T) will see Police Horses and Dogs team up to sniff out illegal substances including heroin, cocaine, cannabis and amphetamine. “Not to be confused with drug mules – which are a completely different creature – our drug horses are definitely about detecting illegal substances and getting them off the streets.